We are committed to providing Houston dental services that are family-friendly and tailored to the individual’s unique heath and financial needs. Our board-certified dentists and oral hygienists are up-to-date on the latest treatments and procedures and always have the patient’s best interest at heart. At Altus Dental Care, you are fully protected from unexpected costs and bills under our Guaranteed Patient Satisfaction program. Choose Altus Dental Care for expert Houston restorative and general dentistry, and a dentist you can trust. Dr. Poorang Pahlavan has lived in Houston, Texas since 1984. He graduated from Jack Yates High School in 1990. He then attended the University of Houston and received his Bachelors of Science in Biology. He received his DDS from the University of Texas Dental Branch in 1999 and has remained in the Greater Houston area since then. Dr. Pahlavan has owned and operated multiple offices in his 15 year career and is currently the dental director of Altus Dental in Baytown, Texas, specializing in General and Cosmetic Dentistry. Dr. Pahlavan has been an active member of GHDS, TDA, and ADA since 1999. He is also affiliated with multiple charitable organizations to help those in need like Give Kids a Smile. He recently traveled to Uganda to visit an orphanage and provide free dental care for all of the children at the facility. In his spare time, he enjoys traveling, playing sports, reading, and volunteering in various non-profit organizations to promote oral hygiene awareness. He is a great leader, a wonderful role model, and someone who understands just how important “giving back” can be. Dr. Pahlavan obtained his undergraduate degree from the University of Houston and completed his dental degree at the UTHSC School of Dentistry at Houston. He enjoys spending time with his family, going out for dinner or movies and watching sports. A Houston resident since 1984, Dr. Pahlavan owns a private family practice, Smile Barn Dental. He is committed to providing a friendly, trusting and warm atmosphere for his patients. Dr. Pahlavan is also a member of the Altus Health team, a network of empowered physicians dedicated to high-quality patient care. Dr. Ellison is a native Houstonian and the Pediatric Dentist at Altus Dental. He received both his B.S. undergraduate and Doctor of Dental Surgery degrees from Howard University in Washington, D.C. Dr. Ellison completed his post-graduate training in Pediatric Dentistry in 2003. He is a member of the American Academy of Pediatric Dentistry. After serving as a pediatric dentist in the United States Air Force, he returned home to Houston to practice dentistry. He is certified in anesthesia and conscious sedation, which allows children to have a more comfortable dental experience. In his spare time he enjoys sports, traveling and spending time with family and friends. The Baytown Dentist Just for Kids! 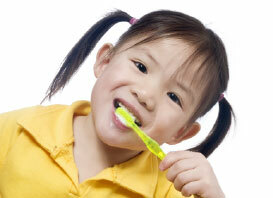 Regular cleanings and checkups are important when it comes to the oral health of kids’ teeth and gums. Our Baytown dentist and oral hygienists are used to accommodating and caring for the smallest patients. In fact, they are experts at making kids feel safe and comfortable during routine examinations, cleanings and other procedures. We strive to provide our Baytown community with the friendliest dentist around! Our littlest patients leave with the understanding that proper brushing and flossing is not just an irritating chore that takes up too much time. Instead, we make sure kids understand that it’s easy to maintain good oral health by brushing and flossing thoroughly two times a day. Their smile will look twice as nice before a dentist helps even more with a professional cleaning and fluoride treatment. Baytown parents are also encouraged to take advantage of a treatment like this because it effectively removes months of bacterial build-up on the teeth. Fluoride improves the strength of tooth enamel and improves the overall health of the gums. In addition to expert cleaning and exams, this Baytown kids dentist also offers great advice to parents when it comes to motivating their children to brush their teeth properly. There are many toothbrush and toothpaste brands that feature fun designs, cartoons, pop singers and movie characters that Baytown kids would love. Dentists recommend toothbrushes designed especially for little kids’ hands and the designs make the whole process seem a lot more fun and personal. Your Baytown dentist can also recommend and show you various helpful techniques to encourage enthusiastic brushing and flossing. These may include routines that involve the whole family, silly songs to play when it’s time to brush and rewards that can be offered in exchange for good brushing and flossing. Smile! We also offer dental surgery for your little ones. We want you to be fully at ease, so our board-certified pediatric dentists will make sure you and your child understand all the steps of the dental procedure before we get started. We specialize in working with kids and only employ all the latest practices to make our services more effective. We are also accredited by the AAAHC as an Ambulatory Surgical Center. At Altus Dental Pediatric Surgery Center, you can count on us to be there for you every step of the way.